#1 2-truck Shay Lima 1885 BN#134 No known photos See note 1. 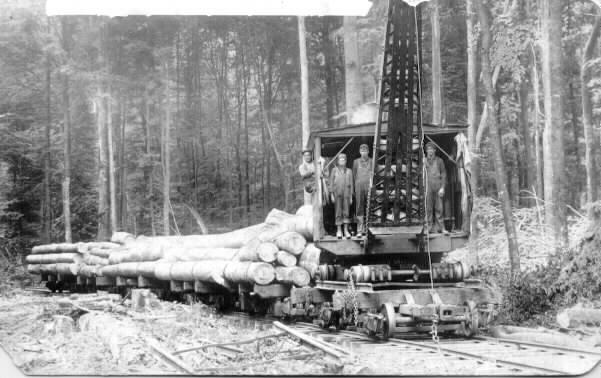 American log loaders, log buggies AH&D pre-1911 At least two, possibly more. Unknown cars. 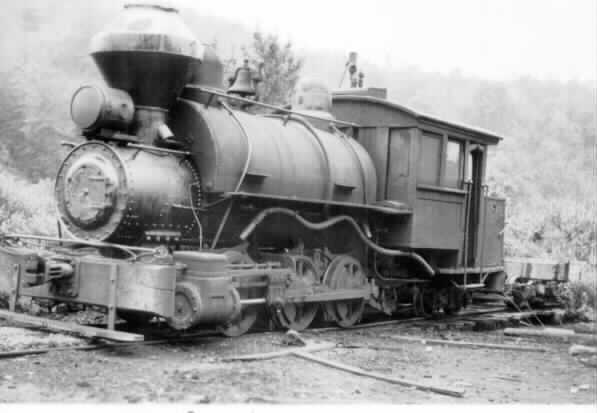 About the photos: Original images of #'s 3,5,and 6 were taken by my father, Russell Gustafson, in 1936, when the mill had already closed and the scrapping of the railroad was imminent. 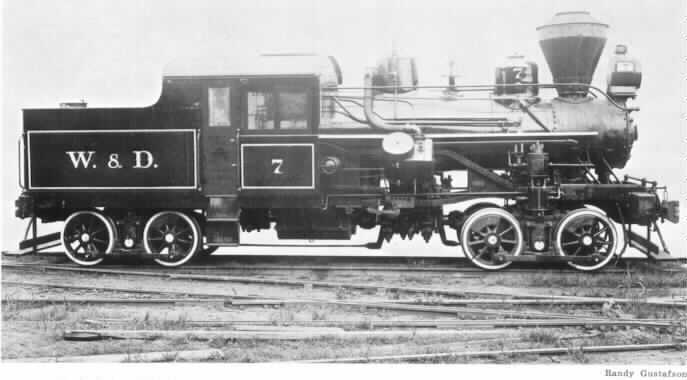 Photo of #7 is the original builders photo supplied by Heisler upon delivery. 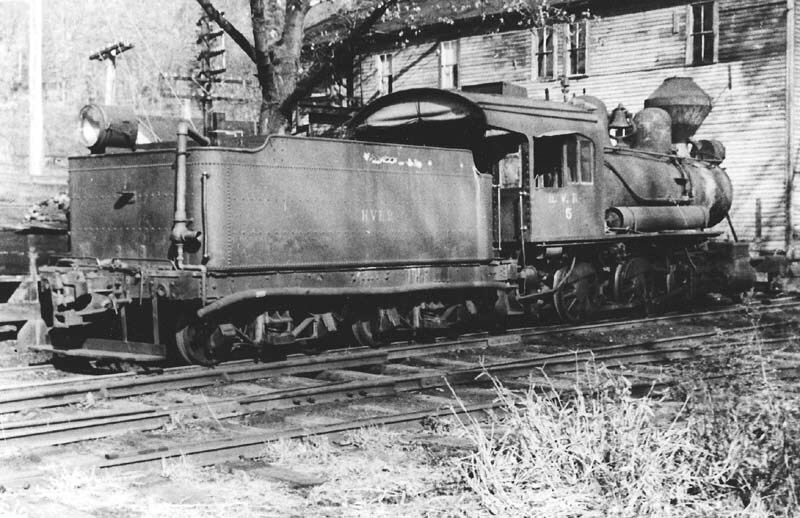 Compared to many operations, W&D had easier grades and used rod locomotives in actual logging. As the length of the operation grew, the slow speed of Shays made them unpopular with W&D. 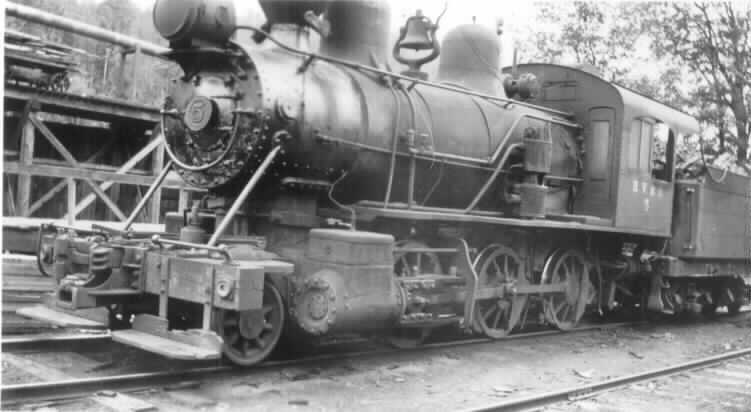 See additional photos below of the various locomotives in service along the line. Although they published a passenger timetable in the Official Guide, HVRR records and photos have not shown any passenger cars, or even a caboose. Please e-mail if you can solve the mystery! 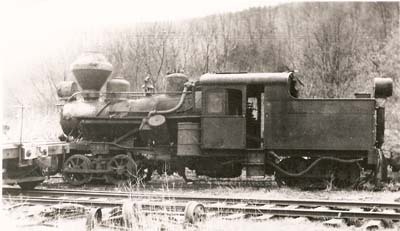 Click photo to listen to the 1887 Crosby 3-chime whistle like on W&D #3 (278k). (Don't go here if your speakers are turned up)! Legendary local railfan Victor Norton gave me two extraordinary shots of HVRR #5 at Endeavor a few years ago. 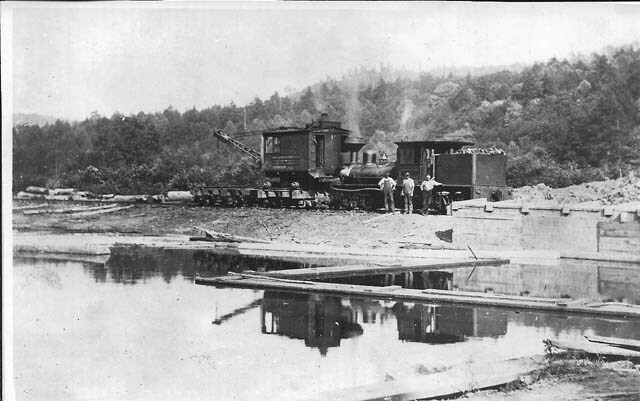 He took these shots when he made a trip to Endeavor from Jamestown, NY, hearing the railroad was about to be dismantled for scrap. 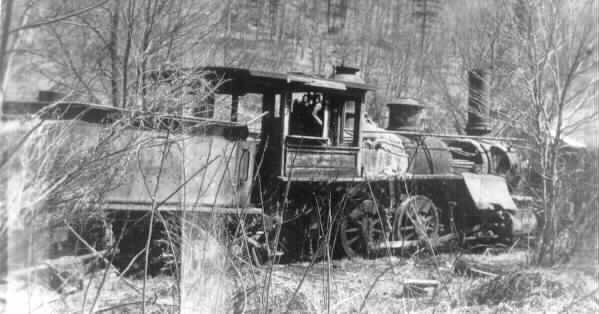 These two shots, dated Fall 1938, may be the last shots of #5 in operating condition, as this was the year the railroad was shut down. The wood shed behind the tender survived well into the 1980's. I've also come across more equipment photos when the Casler print collection was sold at auction and I purchased all the W&D prints I didn't already have.. I'd never seen some of these before, and I've been collecting W&D/HVRR shots for nearly 45 years! 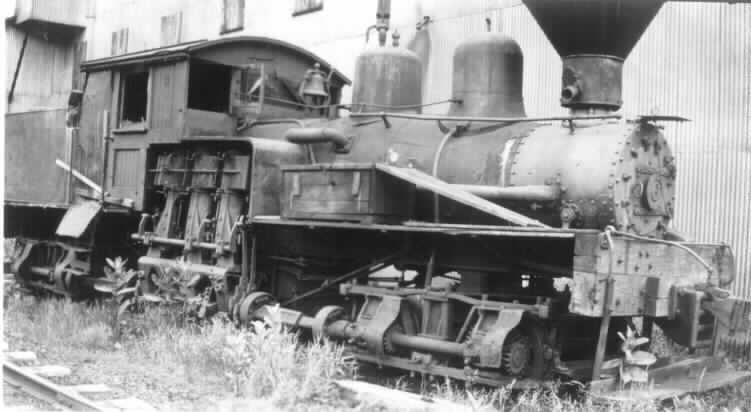 A truly classic shot of Heisler #7, presumably at Endeavor, and judging by the condition and corroded wheel treads, at the close of operations in 1938 prior to reported sale in 1940. The stack is also unlike any other shot. Compare to the builders photo above. 2008 update! Peter Farley found a letter in his families collection that #7 was taken to Poughkeepsie, NY, after the mill closed in 1938. A 1940 letter from a Poughkeepsie railfan that spotted it there was addressed back to W&D, asking for history and information on the locomotive. While it was still presumably scrapped there, the trail of information has now moved one step forward. That means it is entirely likely that #7 crossed the Poughkeepsie Bridge on her own wheels, possibly the only 47-ton Heisler ever to cross that monumental structure. NEW! 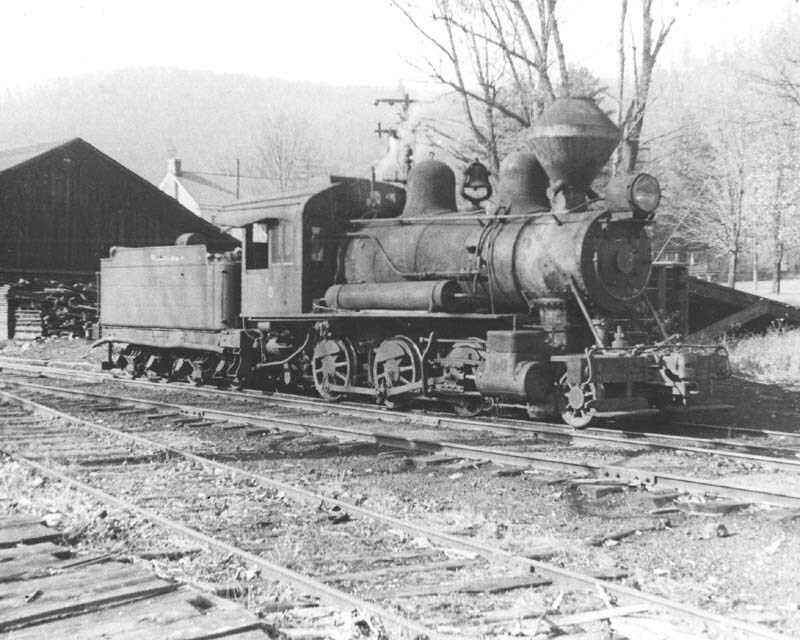 Sister survivor: Possibly the only surviving nearly-identical 47-ton Heisler is Bluestone Mining & Smelting #1, now at the "Roots of Motive Power" museum in Willits, CA: It's 1916 serial number is 1351, W&D's #7 was 1378. Here's an operational shot from 2006! And even better, a video of it running in 2010!